Cell polarization can be defined as the generation and maintenance of directional cellular organization. The spatial distribution and protein or lipid composition of the cell are not symmetric but organized in specialized domains which allow cells to grow and acquire a certain shape that is closely linked to their physiological function. The establishment and maintenance of polarized growth requires the coordination of diverse processes including cytoskeletal dynamics, membrane trafficking, and signaling cascade regulation. Some of the major players involved in the selection and maintenance of sites for polarized growth are Rho GTPases, which recognize the polarization site and transmit the signal to regulatory proteins of the cytoskeleton. Additionally, cytoskeletal organization, polarized secretion, and endocytosis are controlled by signaling pathways including those mediated by mitogen-activated protein kinases (MAPKs). Rho GTPases and the MAPK signaling pathways are strongly conserved from yeast to mammals, suggesting that the basic mechanisms of polarized growth have been maintained throughout evolution. For this reason, the study of how polarized growth is established and regulated in simple organisms such as the fission yeast Schizosaccharomyces pombe has contributed to broaden our knowledge about these processes in multicellular organisms. We review here the function of the Cdc42 GTPase and the stress activated MAPK (SAPK) signaling pathways during fission yeast polarized growth, and discuss the relevance of the crosstalk between both pathways. We thank D. M. Posner for language revision. 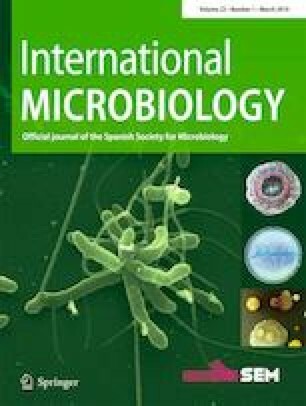 This work was supported by grants BIO2015-69958-P and BFU2017-82423-P from the Ministry of Science, Innovation and Universities (MICIU) and grants CSI068P17 and Escalera de Excelencia CLU-2017-03 from the Regional Government of Castilla y León (JCyL/FEDER) and the European Regional Development Fund (ERDF). The authors wish to acknowledge the many other studies on fission yeast cell polarity and apologize for not citing every important contribution in this review due to space limitations. The authors declare that they have conflict of interest.